New Alienware Aurora Desktop Guide – What Kinds of Hardware and Technologies do These New Gaming PCs Come With? If you’re looking to take your games to the next level, one of the new Alienware Aurora models, such as the R5 or R7, should do the trick. With features like six-core processors, high-quality graphics, and even Optane memory, the machines are able to handle any game you throw at them. There is plenty of room for expandability as well. Run your favorite games at high settings or even max settings, depending on the configuration. The great thing about these new Alienware Aurora towers is that it is very easy to update a video card if you find that you need more power and performance for graphics. What about the specs? What can you expect at the base price? The Alienware Aurora R5 also offers a lot of powerful specs at a base price, with plenty of room for expandability and upgradability. It’s even reengineered to support dual 300-W graphics card for a total of 600-W of graphics power. As for the appearance of the new Alienware Aurora, there are 20 different colors you can use to customize the lighting theme. There are literally over 8,000 options. No matter how you customize your machine, you can count on it being unique. There is an option to disable all lighting effects if you ever need to “go dark”. There are also thermal controls that allow you to change the internal temperatures and settings as well as speeds of fan speeds. Should you ever need to monitor or even take control of the over-clocking levels, just start using the “OC Controls”. 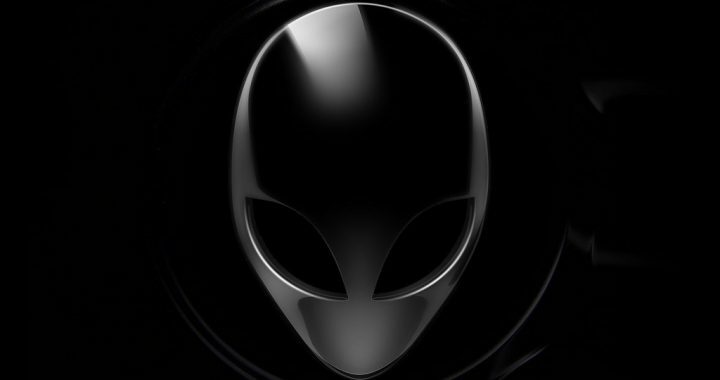 One of the best features that comes with the New Alienware Aurora machines is the Alien Autopsy technology, which comes pre-installed. It offers features such as alerts to inform you about issues and the tools you’ll need to fix them, and easy access to all of the Dell support you’ll need. It’s very easy to upgrade and expand the New Alienware Aurora desktops thanks to their innovative, PSU swing-arm design. You get tool-less access to the interior. Everything is a straightforward process, even if you don’t have much experience with computer hardware. Whether you want the R7 or R5, you can expect a good deal with a New Alienware Aurora machine. These are excellently-build gaming desktops. Dell coupon codes are available to help you save and there are financing options, so you won’t have to worry about the cost. If you’re looking for a sleek and lightweight notebook that can handle games, you might want to invest in the Alienware m15. It looks great, whether you choose the Nebula Red or Epic Silver. The 15.6-inch display is available in different resolutions: UHD (3840 x 2160) and FHD (1920 x 1080). The UHD panel is 400-nits and the FHD panel is 300-nits. 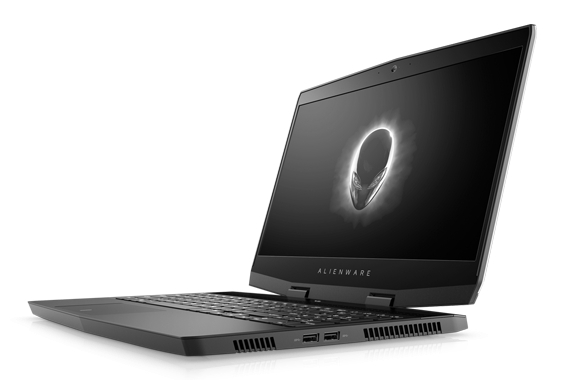 This machine is 20% lighter and 5% thinner than its predecessor, the Alienware 13. If you ever want to go on a vacation, you can easily pack it up and take it with you. Just because it’s so light and thin, the m15 is produced out of high-end industrial materials, such as magnesium alloy, which also improves rigidity. Alienware Cyro-Tech 2.0 is advanced thermal technology that optimizes component cooling. The design features a dual-intake and dual-exhaust airflow technology. The driving fan is high-voltage, fire-resistant, and liquid-crystal polymer, and is built with 90 unique 0.2-mm blades that keep both the GPU and CPU nice and cool. Get all of the tools gamers need for displaying high-quality graphics and running everything at high settings. The new Alienware m15 offers a Killer Networking E2500 / Gigabit Ethernet Controller, which is capable of delivering an impressively high amount of throughput. You can expect lower latency gameplay and won’t have to worry about any jigger or lagging. Whether you’re in the middle of a battlefield or in a raid with dozens of other players, you can trust that everything will run smoothly. While the specs can vary depending on the configuration, you can still expect to get an 8th Gen. Intel Core i7 processor (six-core / 9MB cache) that can reach up to 4.1-GHz with Turbo Boost Technology. The 16GB (2 x 8GB) option (DDR4 / 2666-MHz) is a good amount of memory for most players, but you can go up to 32GB if you want even more memory. There is a variety of new storage options available with the Alienware m15. The ideal combination is a powerful PCIe SSD for speed and a large HDD for storage. Dell offers a list of drives you can choose from with varying sizes and speeds when placing your order. Decide which solution is right for your needs. Additional features include a Lithium Ion 60-Wh Battery, NVIDIA GeForce GTX graphics, Thunderbolt 3 port and several other USB and HDMI ports, and ALIENFX keyboard. The Alienware m15 looks great and is very easy to customize. 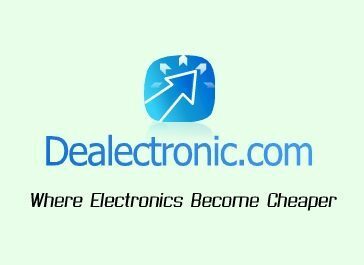 If you use Dell coupons, you can get it at an affordable price. Reading Alienware m15 reviews can really get one excited for this new, impressing gaming notebook. Whether you want it in Silver or Red, you can count on it looking great. Just use Dell promo codes to help you finance this lightweight machine. Dell was the first company to begin implementing lightning-fast graphics for powerful gaming machines. 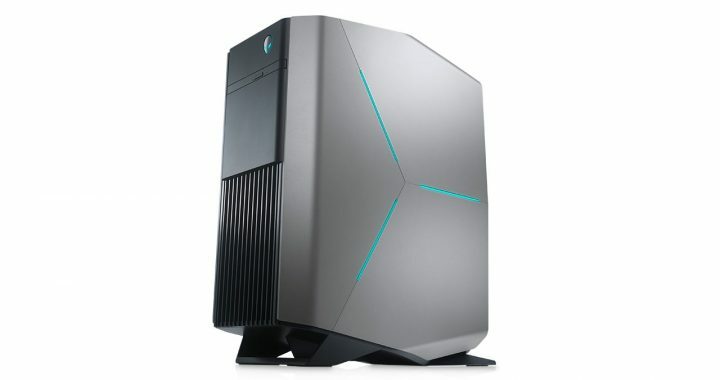 The Alienware line consists of computers that are for competitive gamers who require the best technology. However, there are those who are concerned with the costs. A powerful gaming PC isn’t the most affordable – especially if it comes with the most advanced features. This is why a Dell Alienware coupon can be very useful. There are different types of coupons and discount offers. Some are for select Alienware PCs while others can be used for purchases in general. Even if you can’t find a coupon to help you save on the specific model you’re after, there still might be an offer to help you better afford accessories such as Alienware keyboards, mice, monitors, etc. The desktops are always worth investing because they offer tool-less access to make upgrades simple. You can expand the power by adding more hardware as you need it rather than having to buy a new PC every couple of years. Gaming is advancing at a very fast rate, so if you want to stay on top of things, you’ll need to keep up with the technology. A Dell Alienware PC is the best way to do that. The laptops are great as well. You can get high-performance from a portable machine that runs multiple applications at once. 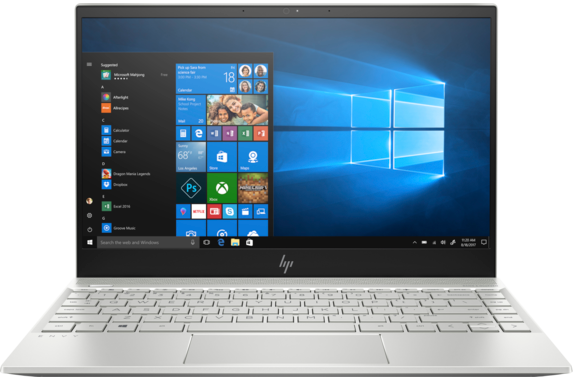 The new models are available with 13-inch, 15-inch, and 17-inch displays. You can connect any model to a larger display and play on the big screen. One of the best things about these computers – both the laptops and desktops – is that they are so nice to look at. They really stand out with their appearance. No matter which one you get, you’ll have a machine that really does have an “alien” look to it. Regardless of the time of year, it won’t be difficult at all to find a Dell Alienware coupon of some sort, whether it be a percentage off of your order or a rebate of some sort. As with any coupon for any product, there is always an expiration date. Each offer is subject to availability. There are usually limitations to a great deal so take advantage of one while it’s available. Don’t worry if you do miss out on one, though, since new ones will pop up. This brand is always consistent when it comes to offering deals. When you do use a Dell Alienware coupon, make sure it’s applicable to your order before you finalize the purchase. Now that you have an understanding of Dell’s Alienware series, you can start looking over some great deals. What kind of gaming laptop or desktop do you need? Compare all of the offers to see which Dell Alienware coupon will be of most use to you. The newest 13-inch Alienware laptop gives mobile gamers a chance to experience VR. It features H-Class processors, 10-series GeForce GTX graphics, and a whole lot more. It has nice, angular look and feels very rigid. It’s a bit heavier than other 13-inch laptops, but it certainly comes with a lot more as well. The solidity of the Alienware 13 is reassuring. It also comes with a really nice Windows Hello feature, which uses your face as a biometric login. Tobil Aware software keeps your system power and battery life either enhanced or reduced, based on your activities. It’s capable of tracking your face and eyes and will simply reduce screen brightness and turn off the laptop lights when you are not sitting in front of it. Create a nice, personalized look for your machine with new and improved AlienFX. It’s design features optimized RGB-LED enabled lighting (AlienFX), which is supported on 130+ games with the option to not only download, but create unique themes. AlienFX uses just 20 different colors to create BILLIONS of unique themes! Of course there are going to be some impressive configurations. The starter model comes with a 7th Generation Intel Core i5 processor, 8GB RAM (DDR4), and NVIDIA GTX 1050 2GB GDDR5 graphics. You can go all the way up to an i7 processor, 16GB RAM, and GeForce GTX 1060 w/ 6GB. All of the processor options include Turbo Boost technology, and are capable of 3.5GHz to 3.8GHz, depending on which unit you choose. A long battery life is guaranteed with the Lithium Ion battery (76-Wh). There are a couple of options for storage as well: choose either 180GB M.2 SATA SSD 6GB / s or 256GB – 512GB PCIe SSD (boot). The display is where the Alienware 13 really shines. While the 13.3-inch QHD OLED 400-nits (2560×1440) model with touch technology is the best choice, it can be a costly upgrade. There are also options for an anti-glare TN (1366×768) display and 300-nits IPS (1920×1080) display. If you really want the OLED screen, be on the lookout for Dell discounts before placing your order. No matter how you choose to configure it, this Alienware will offer you a great experience for any game you play. The Alienware 13 reviews are really praising this laptop. If budget is a concern, you don’t need to worry – Dell promo codes are readily available. You will surely find an online deal to help you afford this great 13-inch laptop. 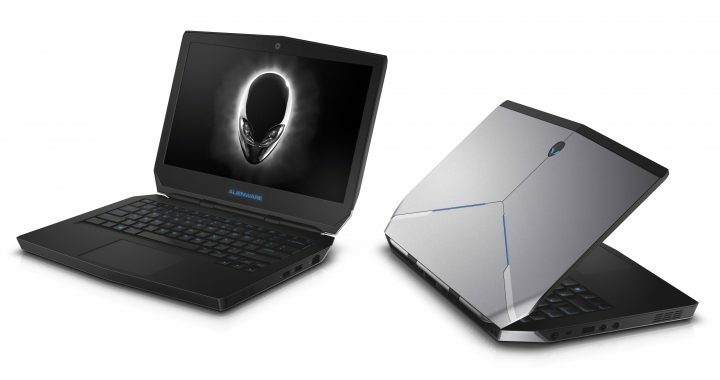 You can’t go wrong with an Alienware laptop – especially when it comes to the newest 15-inch version with its aerospace-inspired carbon fiber and IPS-based LCD technology. The 15.6-inch display is expansive and offers impressive color and clarity. The Dell Alienware 15 is a good laptop for those who want to do work and play games. It can easily handle any task you want to perform, whether it’s business-oriented applications or gaming. It’s also the prefect size for travelling. While not as lightweight as its 13-inch counterpart, it’s still easy to carry around. It offers a compromise for those who want something bigger than a 13-inch display, but don’t want to try lugging a 17-inch laptop around. The build is particularly nice. The chassis is partly made of magnesium alloy and anodized aluminum. The metal inlays located on the bottom and on the lid provide good stability. Customizable lighting allows you to personalize your laptop. Both the keyboard and the touchpad are illuminated to make typing and inputs easier. Rubberized palm rests make typing and navigating a comfortable experience. Thanks to the nicely designed hinges, the display has an opening angle of almost 180-degrees. It stays in place without any wobbling. The Alienware Graphics Amplifier is a great addition to this laptop, if you choose to purchase it. It enables future-proofing of upgradable graphics (dual wide and full-length) and comes with a four-port USB 3.0 hub. For superior audio, the speaker box has been upgraded to a larger model to improve output. As a result, expect a dramatic gaming experience and clearer music. There is plenty of room for an SSD drive or PCIe (boot) drive as well. The video card can be upgraded to 6GB or 8GB (1060 or 1070) if you want extra graphics performance. For the best viewing experience possible, you can upgrade to an UHD IGZO (3840×2160) display. There are 13 unique programmable zones on the laptop with up to20 distinct colors, which provide 80+ quadrillion lighting combinations! Attach a variety of peripherals in combination with the rear Thunderbolt 3 port and left USB 3.0 Type-C port. USB 3.1 and DisplayPort are also supported. If this Alienware 15 review has you interested in the 15-inch gaming laptop, be sure to use Dell coupons to help you save. If you’re on a budget, buying a new laptop like this one may seem like a burden. Luckily, there are plenty of Alienware 15 discounts available for online shoppers. Make sure you read over the instructions carefully so that you will know how to use a Dell promo code or e-coupon. There is no end to the fun you can have with a gaming laptop like the Alienware 14. At first glance, it looks like something straight out of a sci-fi movie. Its new design is an improvement over its predecessors. Charcoal colored metal enclose the chassis. Aluminum and magnesium alloy are used for durability. Wraparound LED lining around the base gives the laptop a futuristic vibe. Even though it’s made with a bunch of durable materials, it’s still easy to carry around. It weighs less than other laptops of its size. Dell offers a couple of options for the 14-inch display. The default option is a WLED HD model (1366×768). If you want something slightly better, you can go with a WLED full-HD screen (1920×1080). Both of these screens feature anti-glare technology. While the Alienware 14 isn’t as powerful as a gaming desktop, it can still handle the graphics of most games. It takes up less space than a desktop as well. If you want to enjoy your favorite multimedia while you’re away on vacation, then this laptop is for you. The processing power exceeds what most laptops offer. This Alienware model can handle 4th generation processors (quad-core). With Turbo Boost 2.0 technology, the power is allocated efficiently. The hyper-threading technology makes multi-tasking various programs at once an easy process. You can play games, edit documents, chat with friend, etc. without any lag. As for the operating system, you can choose between Windows 7 and 8. Windows 8 isn’t forced on you like it is with other new PCs. If you DO prefer 8, however, you can choose between the standard version and Pro. In addition to great video and graphics, you can expect good audio. The internal high-definition performance audio (v. 5.1) and subwoofer makes the sound system on the laptop just as good – if not better – than a more expensive desktop. It should come as no surprise that this machine comes with plenty of memory. You can go with 8 GB or 16 GB (DDR3L). Even with 8 GB, you will have a fast system on your hands. With 16 GB, you’ll never have to worry about any programs acting sluggish again. Since this is multimedia machine, it comes equipped with powerful NVIDIA graphics and FXAA technology. This technology allows for superfast anti-aliasing in PC games. Your games will be brought to life with amazing clarity and detail. Now you have some idea of what to expect with the Alienware 14. If you’re concerned about the cost, just keep in mind that Dell is usually flexible with payment plans. This multimedia/gaming laptop comes with everything you need for enjoying games, movies, music, and simple web browsing. Learn about payment options by checking out Dell discounts. You never know when a good, helpful Alienware 14 promo code might pop up. You don’t even have to leave your house to get a new laptop – just order it online and use some promo codes. Dell has established itself as the leading brand for computers. The new Alienware 17 is a perfect example of the superior products Dell offers. The 17-inch laptop combines top-notch graphics with a powerful processor for immersive multimedia. One of the most notable things about it is its great design. It’s a good looking laptop with a futuristic appearance. The exterior is even better looking than that of the predecessors. The way this laptop is designed makes it look something like an aircraft. While the previous generations have been made out of plastic, the construction of the new Alienware 17 includes plenty of metal. The exterior chassis is made out of magnesium alloy and anodized aluminum. The full-size keyboard has its separate numeric keypad. The AlienFX lighting system allows for the system to light up in several different colors. The keyboard itself has four different lighting zones. Since the keys have an anti-glare surface, you won’t have to worry about dust and smudges. Power is unleashed with the 4th Generation Intel Core processor. There is also an option to have overclocking technology for maximum performance. The smart-cache technology that the processor comes with speeds up loading times considerably. Your favorite applications will start up in no time at all, and any high-definition pictures you want to view load almost instantly. The Alienware 17 offers a massive amount of storage. Keep all of your games and movies stored on the (optional) 1 TB solid state drive. The laptop can also hold up to 1.5 TB in a SATA hard drive. The optical drive is a standard 8x slot-loading model, although there is an option to go with a dual layer Blu-Ray drive as well. You can expect a lot in terms of the display and graphics cards. There are a few different options for the 17.3-inch display, including a WLED HD+ model, WLED FHD, model, and a 120 Hz WLED FHD model with 3D capabilities. All of the displays have anti-glare technology, which means you’ll be able to enjoy your favorite games and play your favorite movies anywhere – even outside. The graphics are powerful NVIDIA GeForce cards. Choose anywhere from 2 GB – 4 GB. The memory options for the laptop include 8 GB, 16 GB, and 32 GB (dual channel). Even if you just stick with the 8 GB, your laptop will be able to handle programs quickly. You’ll be able to do multiple tasks at once without any problems. If you really want to invest in a gaming laptop, the Alienware 17 is by far the best choice. It comes with everything you need to run your games and other multimedia smoothly. You can even customize it a bit to suit your needs. 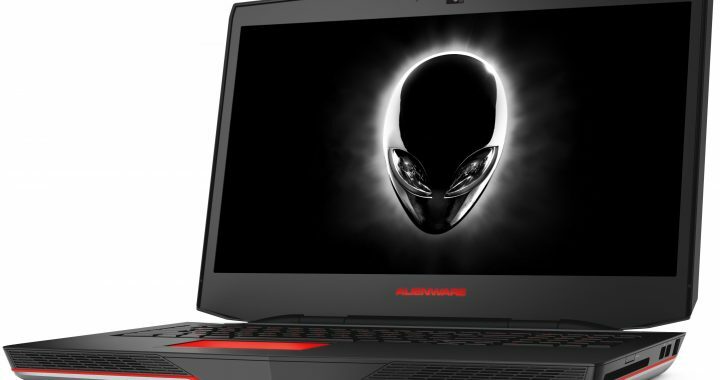 Although powerful, advanced laptops can be expensive, you can get this one at a discount price thanks to Alienware 17 discounts. Dell promo codes are available to knock off some of the expenses. Keep in mind that these exclusive deals can only be found online. If there’s one laptop that deserves to be called the most powerful, it’s the Alienware 18. Dell has done a great job with the construction and customization of this laptop. It’s made out of metal materials for durability. Everything from the chassis to the hinges is strong. You can open and close the lid up to 20,000 times before the hinge starts to wear out. The components and technology are powerful and advanced enough to keep you gaming for years. With an 18-inch display, you’ll be able to see plenty of background when playing games and watching videos. There is also the option to connect the Alienware 18 to a larger display that has 3D capabilities. All of your multimedia will run smoothly thanks to 4th Generation Intel processors (quad-core). They are made even faster with overclocked technology and turbo boost, which can get up to 4.3 GHz. The hyper-threading technology can handle up to 8-way multitasking so you can run more applications in the background without using too many system resources. The AlienTouch provides you with plenty of touchpad customization. It is designed for virtual scrolling. Horizontal and vertical scrolling gestures can be customized by you. It’s up to you to decide how much sensitivity you want the touchpad to have. How much memory would you like your dream laptop to have? This one can handle up to 32 GB (dual channel) at 1600 MHz. The base option is 8 GB, but you can go up to 16 or 32 if you need more. As far as the graphics go on this laptop, you couldn’t ask for more. It comes with dual NVIDIA GeForce graphics.for gaming and 3D software. The dual graphics will be able to handle any game you throw at it, no matter how advanced and detailed the animation is. The audio is just as advanced as the video technology. The laptop comes with standard HD 5.1 performance audio, and it can be upgraded to an even more advanced system. If you plan on using this machine for a long time, you’ll need plenty of storage space. Think of all the games and other files you’ll be downloading and saving over the years. You can choose 1000 GB or 1500 GB SATA (7200 RPM). For the optical drive, you can go with a standard DVD writer or a Blu-Ray reader. To put it simply, the Alienware 18 is the best laptop money can buy. Not only do you have some customization options, you can also personalize it thanks to the AlienFX system lighting technology. Apply dozens of different colors to different zones. There are so many color combinations available that your laptop is guaranteed to have a unique look. It comes with everything you need, and it’s engineered to last. You’ll never find a better gaming laptop than this. You can find it at a low price online thanks to exclusive Alienware 18 discounts. Dell usually gives out promo codes to help online shoppers save on computer and accessories. Alienware M14x Review – What Can You Expect from This Great Laptop? How Can You Customize It? High performance and multimedia comes standard with a laptop like the Alienware M14x. It’s easy to enjoy your favorite games, music, and movies with this laptop. There is never any lagging, overheating, or crashing. The M14x features the most powerful GPU on the market. If the 14 inch display isn’t enough, you can easily hook the laptop up to a larger display. You can also expect plenty of speed thanks to the 1600 MHz DDR3 memory and mSATA hard drive technology. This PC can handle up to 512 GB of storage in RAID 0 AND high-speed SSD caching. It’s your choice of which hard drive option you want to go with: the RAID 0 or the SSD. Thanks to built-in Wireless N connectivity, you will be able to take this laptop with you anywhere you want to go. Unlike a desktop PC, you won’t have to set it up in one place all the time. Just carry it from one room to the next. It will stay connected to your home network. You’ll also be in charge of the appearance and design. Dell offers AlienFX System Lighting Technology, which allows shoppers to choose from a variety of lighting and color themes. In fact, there are around 500 billion unique lighting combinations! You can personalize it however you like, and even have your name etched on the chassis in the process. Customize the touchpad’s sensitivity to prevent accidental clicks and editing. Virtual scrolling can be activated for horizontal and vertical scrolling. The default processor option is a 3rd generation Intel core i5 with turbo boost 2.0 technology. The laptop can handle an i7 model if you need more processing power. The base memory is 6 GB ( 1 4 GB + 1 2 GB) DDR3 at 1600 MHz. If that isn’t enough system memory for you, you can go up to 8, 12, or even 16 GB (2 8 GB). There is enough room for both a hard drive and an optical drive. For the hard drive, you can choose 1 TB SATA (5400 rpm), 750 GB SATA (7200 rpm), or a 512 GB solid state drive. The optical drive is a slot-loading 8X SuperMulti model. A dual layer Blu-Ray reader is optional. In order to run demanding multimedia, a laptop needs a powerful video card. The M14x is compatible with a NVIDIA GeForce GT video card. You can choose between 1 GB and 2 GB. You now know what to expect from the Alienware M14x.You can easily turn it into your dream computer by customizing it and adding all of the features YOU want. Make all of your friends jealous by having your name engraved on it. If this Alienware M14x review got you interested in the laptop, take a look at some Dell coupons and promotional codes. There are exclusive deals on Alienware laptops that can only be found online. The M14x is one laptop you won’t regret buying!